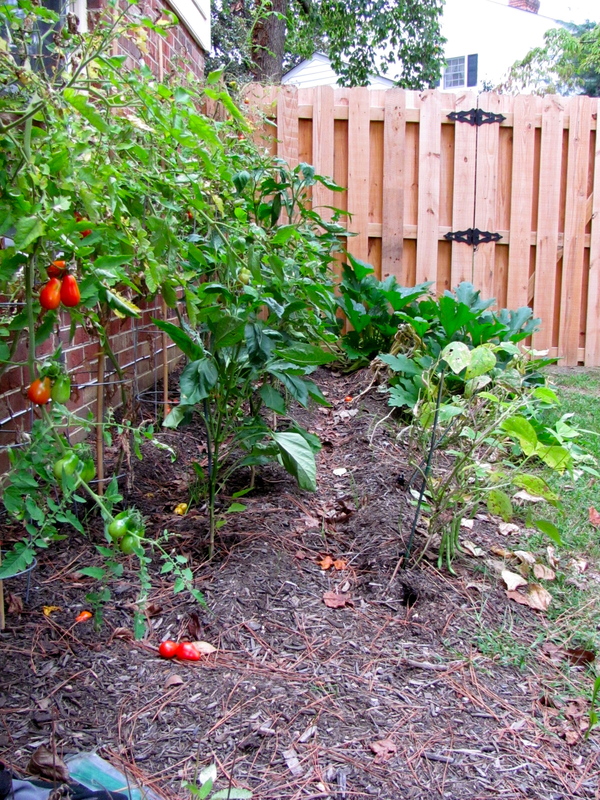 The end of the summer means a lot of different things to me but right now I’m thinking about my garden. My summer crop is growing crazy still because I planted everything late but I’m already supposed to have my winter crop in! I don’t think it matters much as long as I get it in soon, like next weekend soon. I learned a ton from my first summer season. Even will all the mistakes learning experiences, I had a pretty great crop. I’m hoping that means my winter garden will be just as good if not better! If you haven’t read any of the garden posts yet, here a recap. -> I started off with most of my plants in the greenhouse where they struggled from the lack of light. I then moved the dying plants to a spot on the side of my house. I knew they still wouldn’t get the 8 hours or more of sun that they needed but I was hopeful! And finally when I realized they weren’t dying (! ), I spiffed up the outdoor garden with supports, mulch, and a drip system. With all that progress, I got a lot in return. 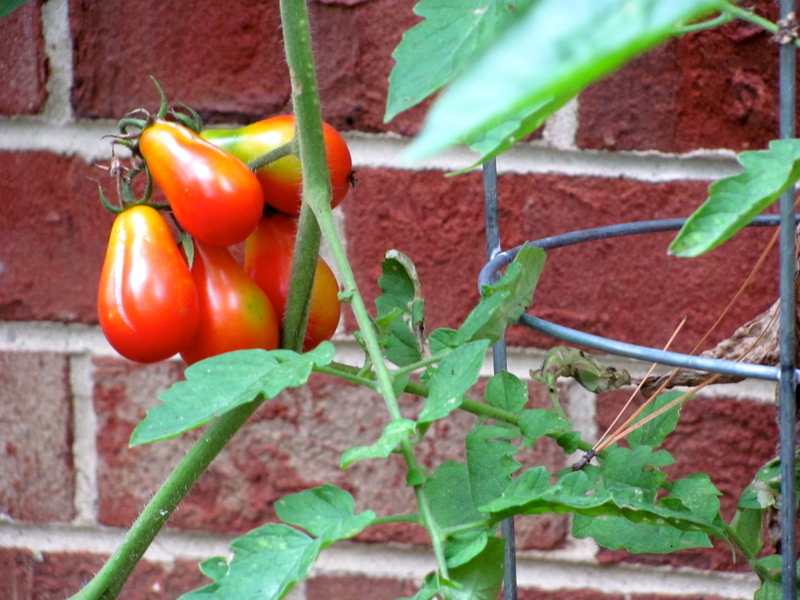 I have 5 tomatoes plants which have given me well over 100 little tomatoes and counting. At one point I got over 50 in one week! I’ve used this recipe three times now. I’ve even experimented! 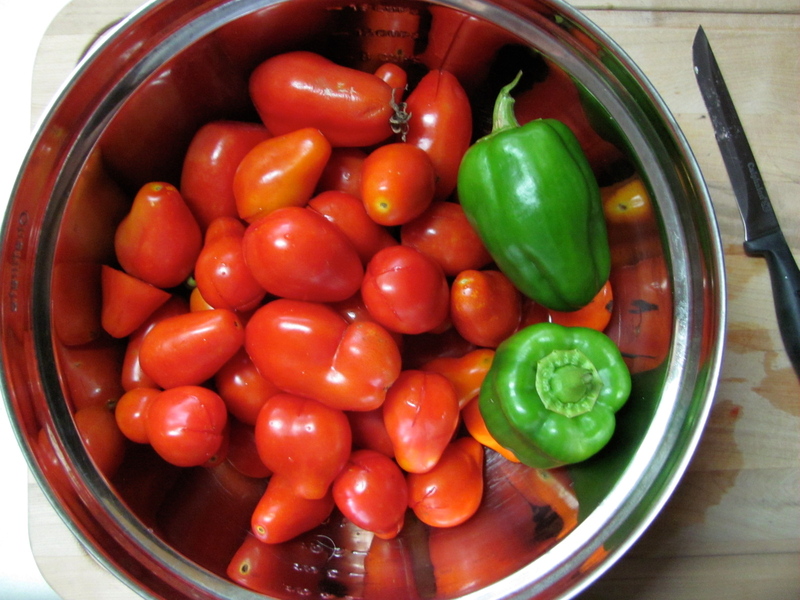 I love a sweet sauce so I skipped the garlic, added two green peppers from the garden, and two tablespoons of sugar. It’s so good! A couple days ago I found a behemoth. 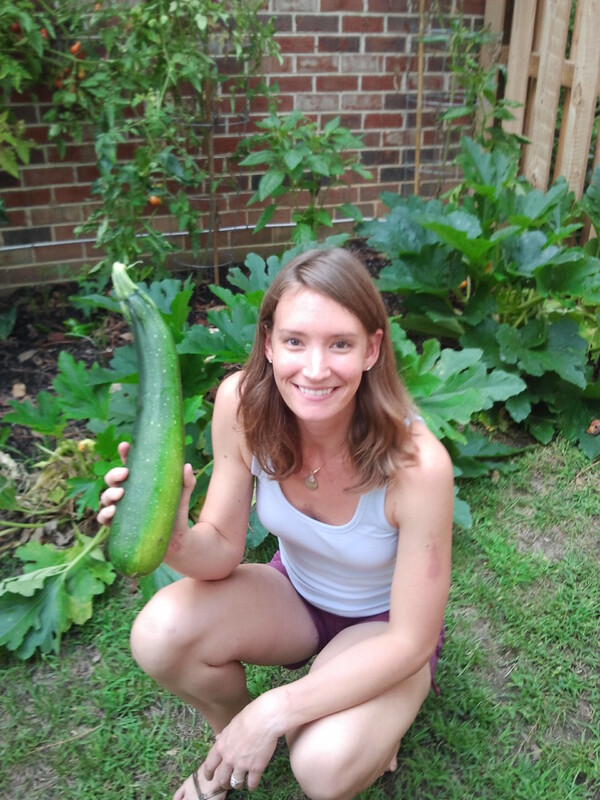 Look at this giant zucchini! You would have thought I won the lottery by the way I was dancing around with my ‘trophy’. I’d only seen one other rotted zucchini before this one so I didn’t think I’d be getting anything edible. I was collecting tomatoes for sauce when I spotted it. 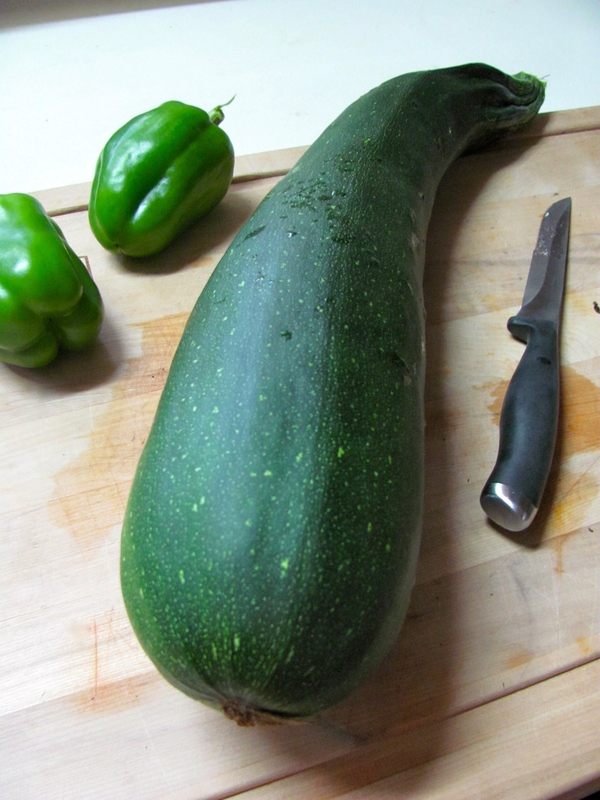 I’ve heard that they can get too tough and ‘seedy’ when they get too big but I sliced up half of it and made zucchini crisps. Cheesy and delicious. With all this great crop, I still have some issues that I need to figure out. My peppers have a bug problem. I’ve been able to rescue some but the plants look pretty sad. I haven’t done anything to prevent bugs so I need to do a little research for my winter crop. You can see in the photo below that some of the leaves are eaten away. Meh, I don’t like bugs! I also still have that lack of sunlight problem. 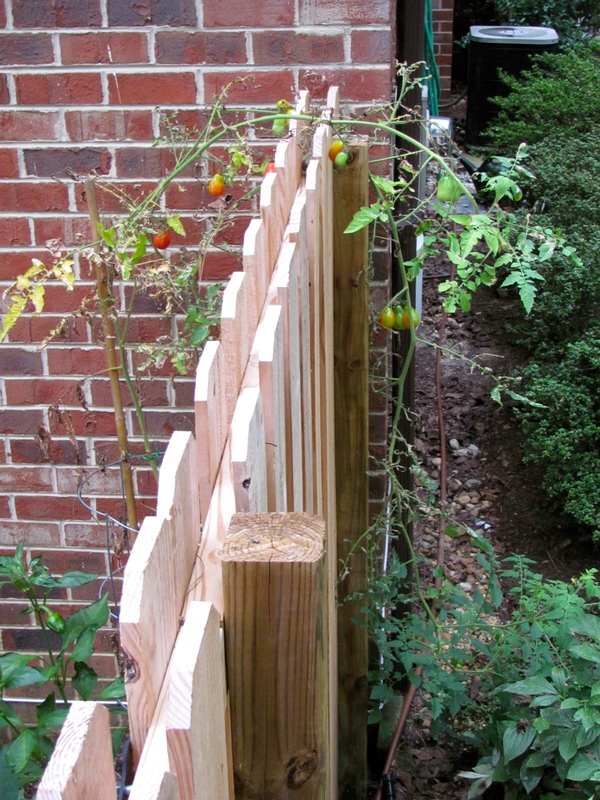 Look at what this tomato plant did! It grew up and over the fence all the way to the ground on the other side looking for sun. Poor thing. I know the winter vegetables don’t need as much sunlight so hopefully it won’t be a problem this time around. As you can see from the photos above and below even though they’re still producing, the tomato and bean plants are ready to go. I was hesitant a month ago to rip them up because they were still going strong but now that they’re a bit weathered so I know it’s time for new, winter vegetables. This coming weekend I’m hoping to add in some broccoli, cauliflower, and leafy greens. 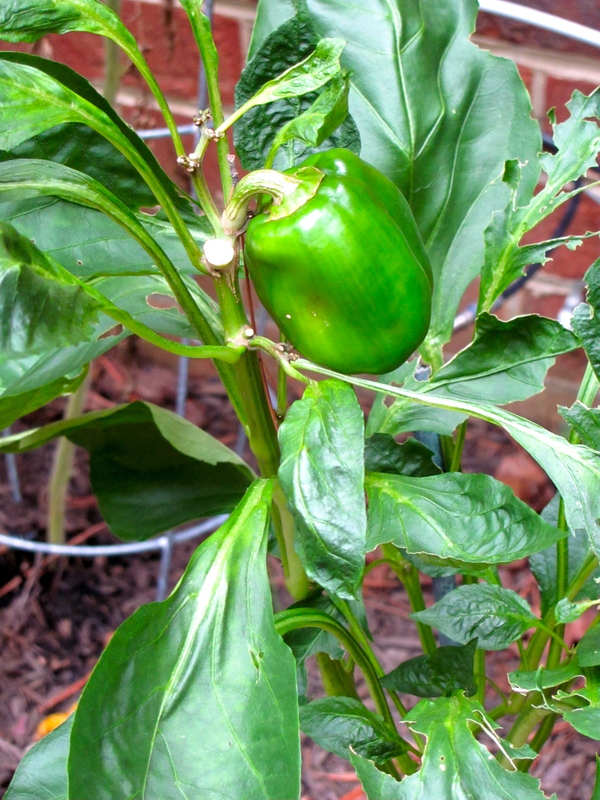 What are you growing in your winter garden? This marathon training is making me eat carbs. It’s either making me because I’m craving them all the time or I’m just using the training as a super good excuse to scarf down anything with flour in it. Case in point: 12 mile run on Sunday = one stack of sweet potato pancakes. 🙂 Yum. I’ve even been told from my Sports Backers coaches that you really are supposed to eat pasta-like dishes before your long runs so really, it’s a requirement. Because of this, I went on a carb recipe hunt on Monday. I wanted a quick snack that I could take with me when I’m out and about. That way I won’t be tempted to buy unhealthy eats when I’m grocery shopping and whatnot. 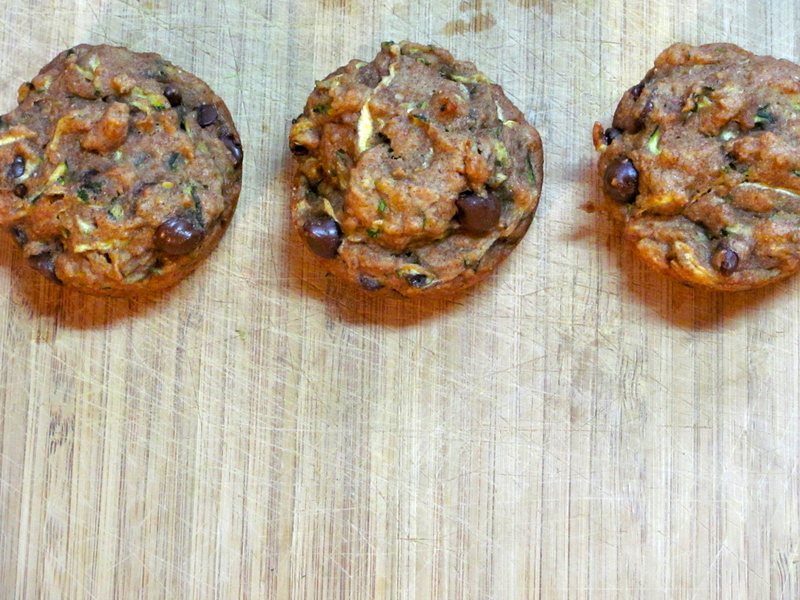 I searched my regular food blogs and found Mama’s Peas recipe for Zucchini Chocolate Chip Muffins. 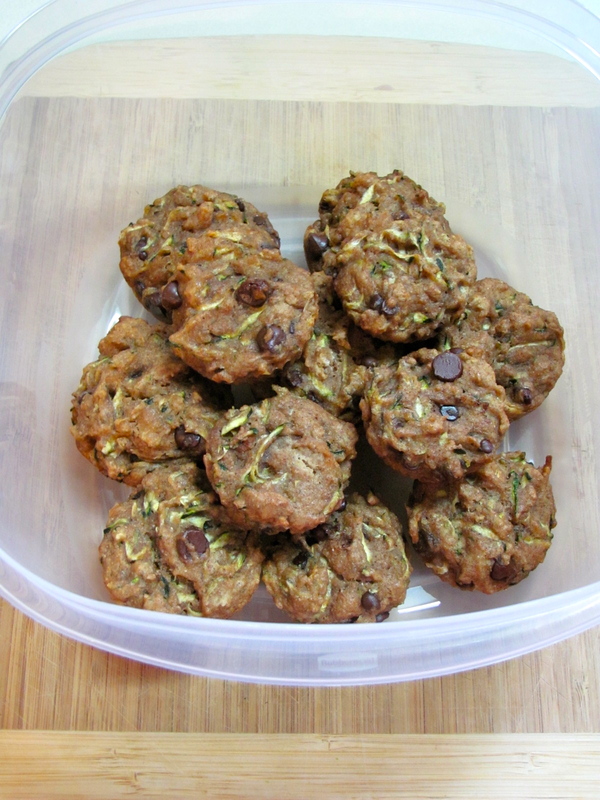 Muffins with chocolate and hidden veggies sounded awesome to me! To make you’re life easier, I thought I’d post the recipe here instead of just the link like I usually do. I’ll try and do this from now on. Preheat oven to 350 degrees. 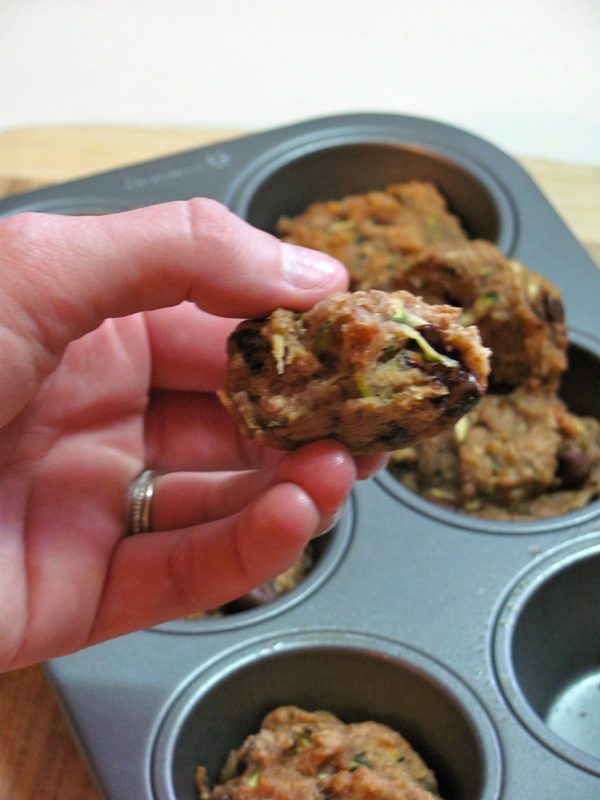 Line a muffin tin with muffin papers. 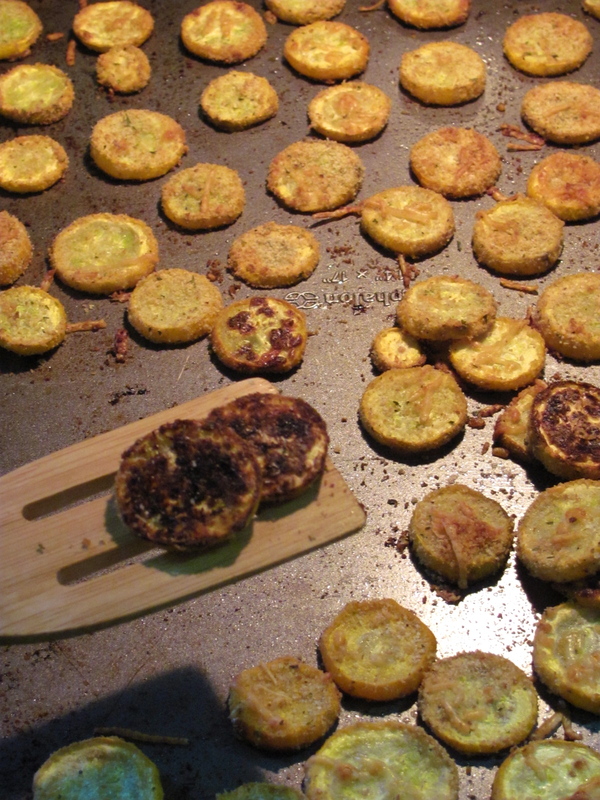 Combine zucchini, oil, applesauce and sugar in a medium bowl. 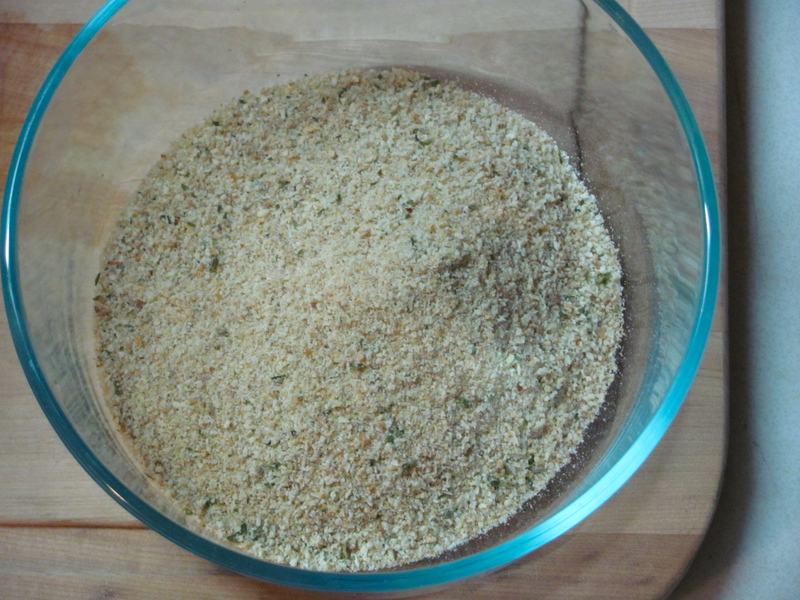 Combine remaining dry ingredients in a large bowl. 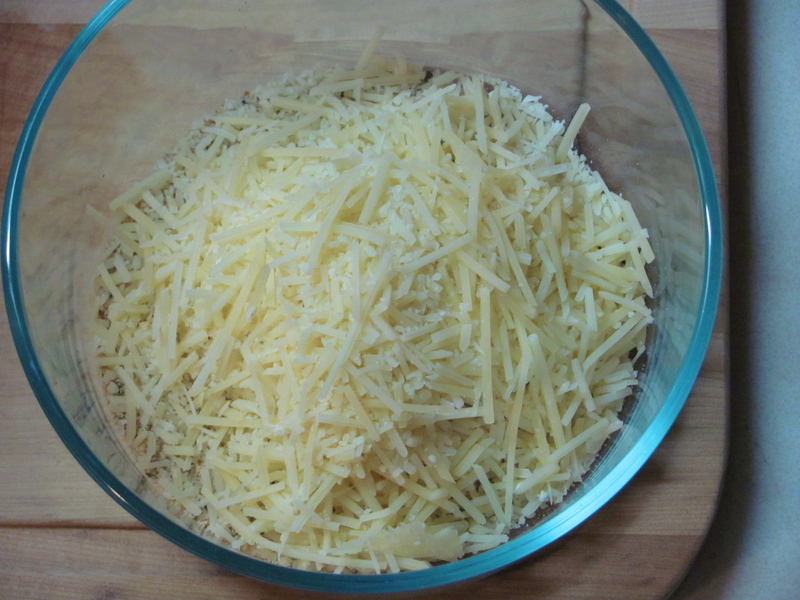 Add wet ingredients to dry and stir until just mixed. 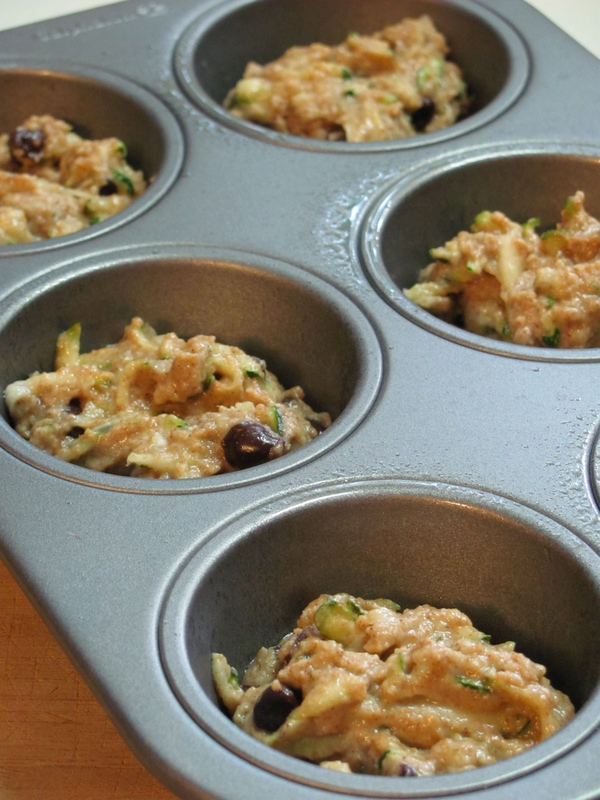 Spoon batter into muffin cups until they are about 2/3rds of the way full. I’m shocked to say that we still have some left! It helps that I put them on top of the fridge where we don’t usually keep snacks. Also, it’s Thursday and they’re still super gooey and delicious! Mama Pea never steers me wrong. What are you baking this week? A snack or maybe an awesome dessert? We’ve got three favorite vegetable sides at this house. An Ellie Krieger trifecta, if you will. I already showed you the Cucumber Salad which is great but today I’ve got my most favorite veggie side EVER to show you. This was my go-to dish during Al’s deployment last year. I ate it once a week (or more) for six months and I’m not tired of it. I regularly get tired of food so the fact that I can still scarf it is amazing. Okay, enough hype. 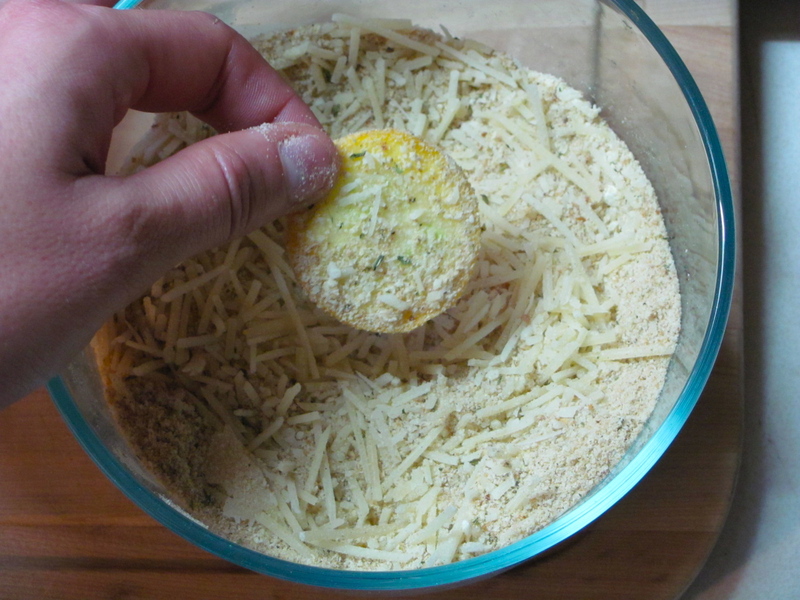 The recipe is called Zucchini Parmesan Crisps and it’s another super simple yet delicious creation. 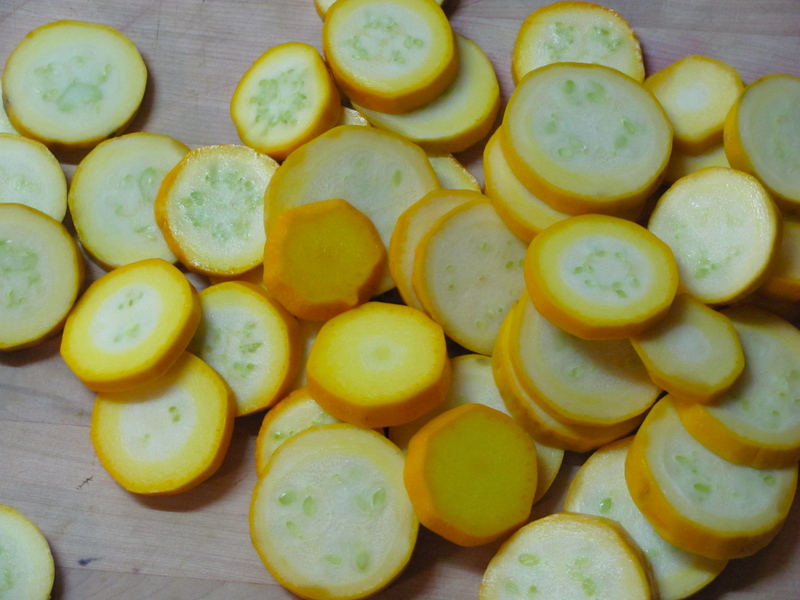 I started off with yellow zucchini which I didn’t know existed until we picked up our CSA box last week. 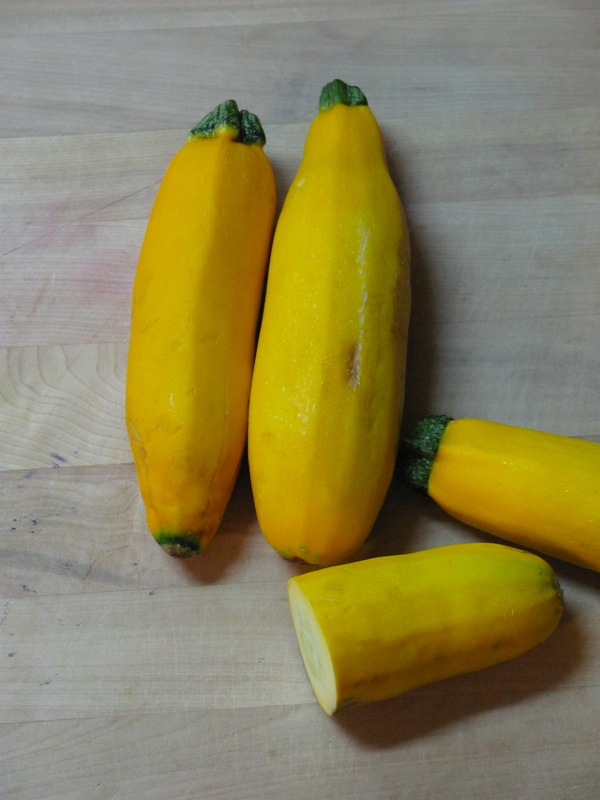 Every time I ate a piece I kept expecting it to taste like yellow squash because of the color! It’s so fun to be surprised by what we get each week. The ‘breading’ is easy. Nowadays I just eyeball the measurements. I can’t remember how to cook any other recipes that I make except for this one. Must’ve been that frequency during the deployment. You start with the bread crumbs. I used store-bought stuff this time but you can easily make your own. Whole wheat would be a good idea. 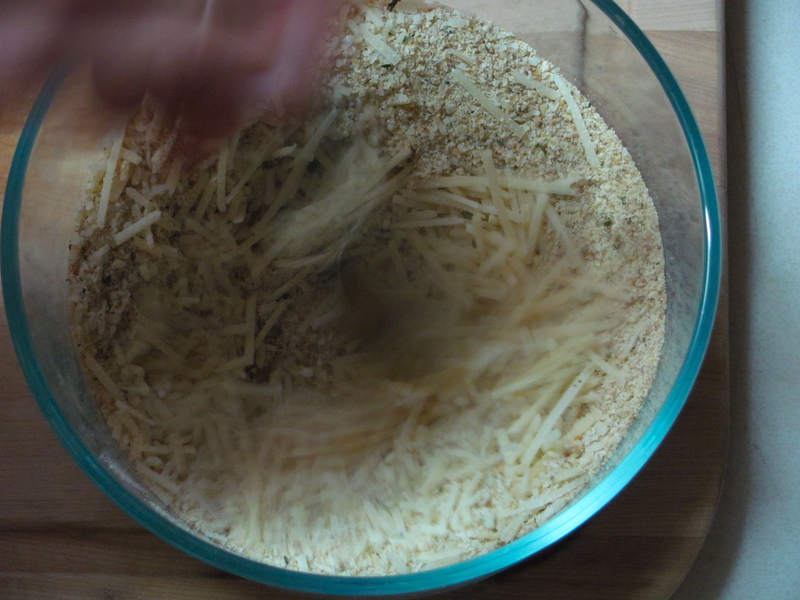 I use this shredded parmesan for the recipe but grating the cheese (like Ellie suggests) would be a lot better. The kind I use doesn’t stick to the zucchini as well but it’s still just as tasty! Add the salt and pepper then stir. 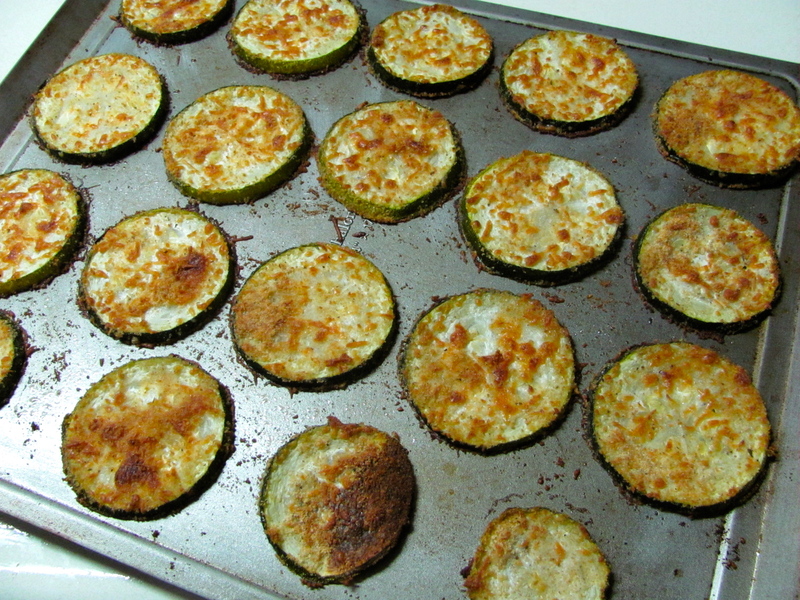 Coat each an every inch of the olive oiled zucchini and then bake them for a while. Do you see that crunchy bottom of the crisps on the spatula? That, my friend, is money. I’m getting hungry just looking at these pictures even though I’ve already eaten. Please tell me you’ll make these soon! Your taste buds will thank me. What’s your favorite vegetable side dish? Do you have an oldie but goodie? P.S. Look out for our final favorite next week!